DAVID LE/Staff photo. 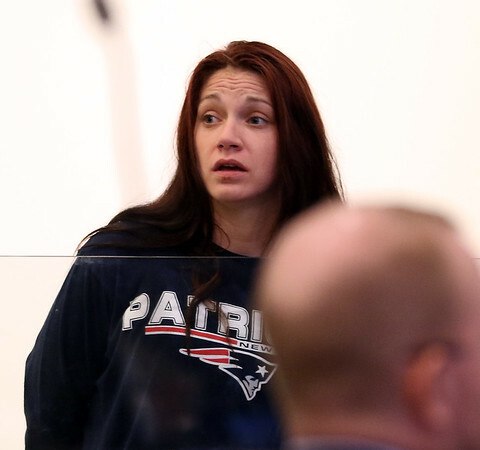 Cassandra Miller-Brown, of Gloucester, was brought before a judge in Salem District Court on Tuesday morning after she overdosed on fentanyl after fleeing a court-ordered drug program. 4/26/16.